Melanie Golding is a recent graduate of the MA in Creative Writing at Bath Spa University, with distinction. Her short stories have been chosen to be recorded as podcasts by the Leicester-based festival Story City in 2015 and 2016, and to be performed at both the regular Stroud Short Stories event and their special 'best of' event at Cheltenham Literature Festival. In 2017 she won the short story prize at the Mid Somerset Festival, as well as the Evelyn Sanford trophy for highest mark in the prose class. She has taught creative writing in prisons and Young Offenders Institutions, as well as teaching music in a school for boys with social, emotional and behavioural difficulties. She is now a full-time registered childminder and splits her time between that and writing. 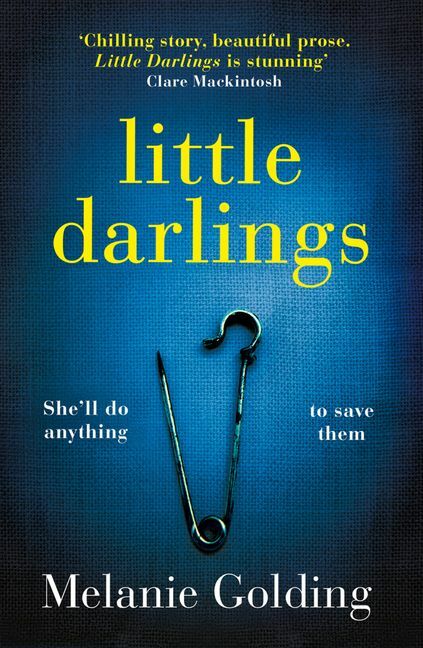 Little Darlings is her debut novel and has been optioned for screen by Free Range Films, the team behind the adaptation of My Cousin Rachel.